As a grandma (Mimi) to three young grandchildren (all under 4), I’m always looking for great books and other resources to share the Word of God and Who Jesus is to my young charges. 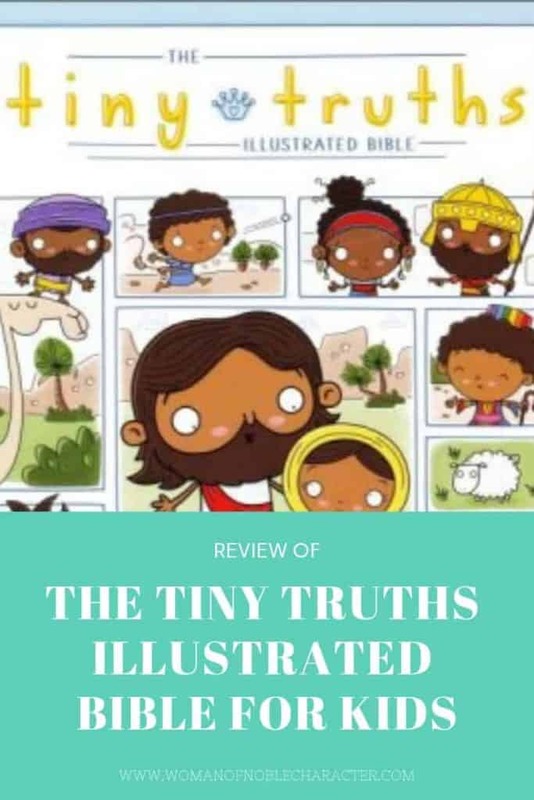 I recently shared a review of God, I Know You’re There and am excited to share my review of The Tiny Truths Illustrated Bible from Zondervan Kidz, created by Joanna Rivard and Tim Penner. 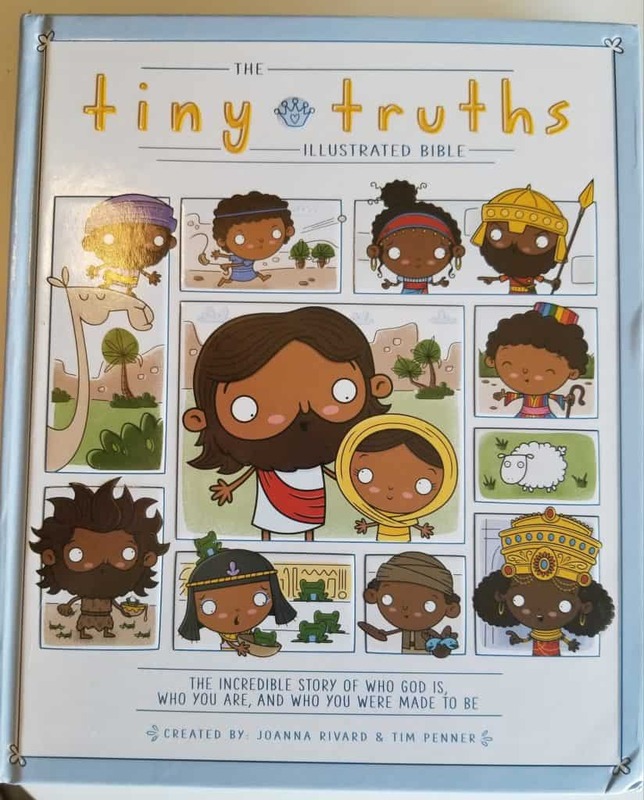 Recommended for ages 4-8 (preschool to grade 3), the Tiny Truths Illustrated Bible is the perfect gift for little ones to teach them about God. 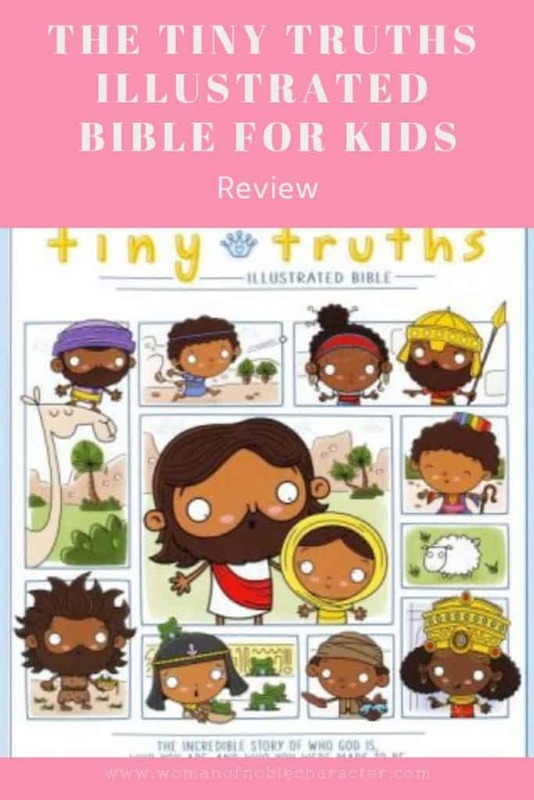 Filled with the Bible stories told in a way to captivate a young one’s attention and illustrated with adorable and whimsical drawings, you and the special little one in your life will love reading this Tiny Truths Illustrated Bible together. 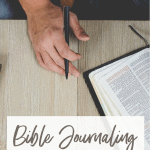 Containing both Old and New Testament stories, the Bible, of course, begins with the amazing story of creation and includes the stories of David and Goliath, Jonah and the whale as well as Jesus’ birth, Jesus feeding the crowd of 5000 and the Good Samaritan. I adore the illustrations of each scene – they are just so stinkin’ cute! 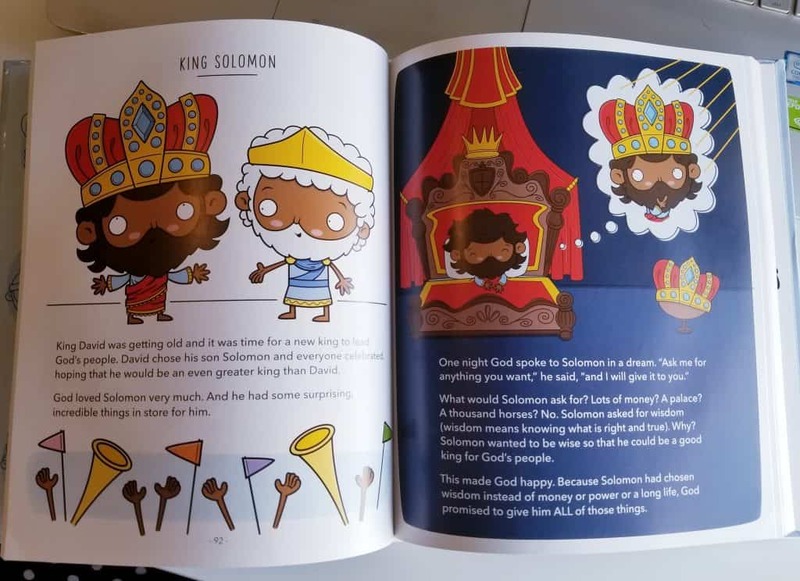 When I read this Tiny Truths Illustrated Bible to my granddaughter (age 3 1/2), she loved the detailed, yet simple to understand illustrations and asked questions about each story. 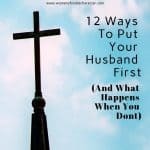 I know this is one that she will ask to read over and over again. This Bible is perfect for giving as a gift to the special child in your life or as a resource for Sunday School teachers. I plan to buy a copy to donate to our church’s children’s program. If you’d like to win a copy for your own family library, you can enter below to win! 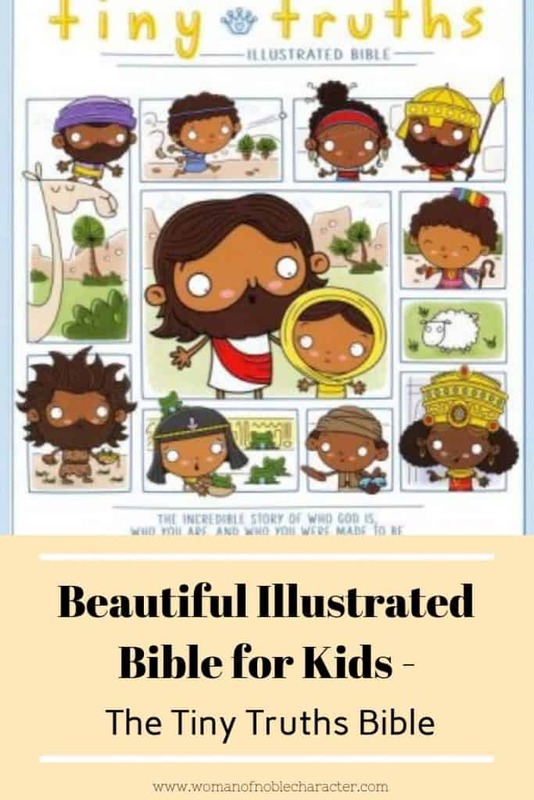 To grab a copy for your kids or grandkids or to add to your own library of fine Bibles, click the link below to find this Bible on Amazon. At what age do you buy Bibles for the little ones in your life? I bought my granddaughter one (age 3) and she loves it! I especially enjoy using a children’s Bible to teach her about Jesus. 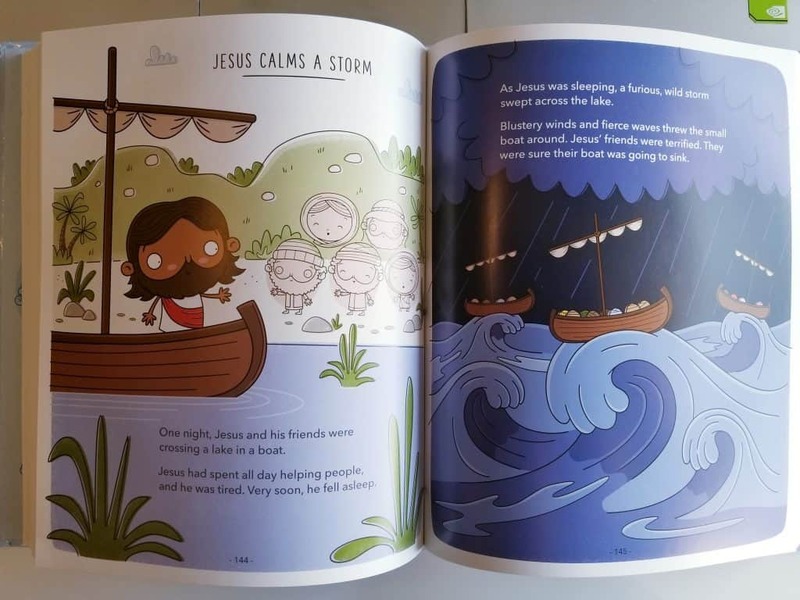 The Tiny Truths Illustrated Bible was a big hit with her and will be, I’m sure, for the young ones in your life. For the adults on your list, you won’t want to miss the Alabaster Pictorial Bibles! Or, this wonderful Bible study on the New Testament.